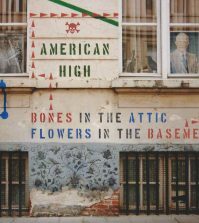 Combining punk and 60s musical influences with songs about social injustice is just the start of what California band American High is all about. Their latest release, U.N. Article 14, is full of up tempo melodies, filled with strong harmonies which totally play against the deep messages contained in their lyrics. The album title refers to an article in the 1948 United Nations Universal Declaration of Human Rights, specifically dealing with asylum seekers. Hmm, seems like that’s been in the news just a bit lately. So have food banks since the government shutdown and American High puts their money where their mouth is by stating that every dime generated by the new album goes directly to the Sacramento Food Bank & Family Services. So, let’s check out U.N. Article 14. 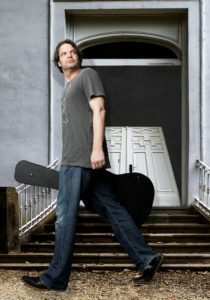 The band has tried to keep their identities under the radar, but a little research reveals Doug Terry as rhythm guitarist and leader of the pack. He’s accompanied by Taylor on bass, Dave on drums and Evan on lead guitar. “Second Sister” starts the ride. A very quick guitar and drum intro sets up the resounding theme of light and easy harmonic vocals that are delivered through the album. “Cheye Calvo” is where the activism oriented lyrics begin. Taken from the true story of the Berwyn Heights MD mayor whose home was placed under siege in a wrongful drug raid. During the raid, the mayor and his mother-in-law were detained under armed police guard and his two dogs were shot. Bringing to light that these wrongful raids occur way too often in this country, it highlights that blood is often shed for no reason. While the album has a focus on social injustice, they also piece out a couple of love songs. “Fairfield, CA” is a lost love tale, but the upbeat sound and those harmonies create wistful imagery rather than a broken heart. “1.17.61” has a slightly stripped down sound, concentrating on lyrics that dig deep into one’s perception of the reality of their life. Very well done. “U.N. Article 14” is the song of those seeking a better life. Will things be better if they get across? There are no answers in the song just as there are no answers for those making the long trek to the Promised Land. 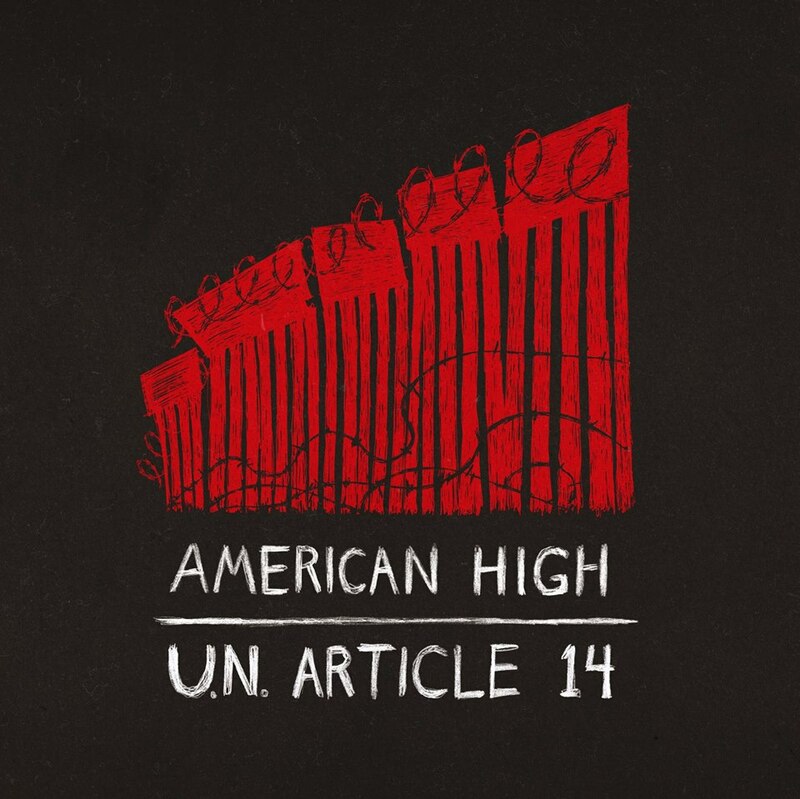 American High has created a serious album that shows human rights, social injustice, and making political statements can be strong, to the point, and fun at the same time. Their songs don’t follow all the rules of music, but that along with their joyful harmonies and sound musical ability makes their music both unique and enjoyable. An album that should be heard more than once for full appreciation, take a listen to U.N. Article 14 by American High on Spotify or Soundcloud.